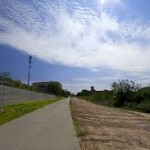 We all know that the Beltline has increased the city’s walkability potential and has become an example to other cities around the country, but what else can be done to help the city grow in an intelligent way? David chats with Chris Leinberger, a professor at George Washington University and a senior fellow at the Brookings Institution, about the future of Atlanta and what can be done to help it keep pace with larger cities around the country. Leinberger talks his session at the (co)lab summit called “The Future of Cities” that outlines steps that can be taken to increase the potential of urban centers.